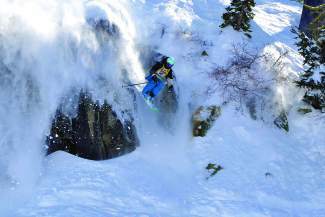 Chanc' Deschamps-Prescott sends Tombstone Rock during his victorious run in the Tahoe Junior Freeride Series finals at Squaw Valley in 2012. 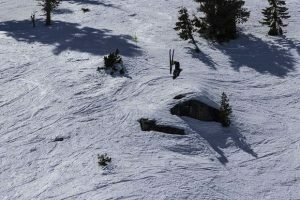 The Tahoe Junior Freeride Series will return to Sugar Bowl this Saturday and Sunday, March 8 and 9, for the second stop of the 2014 season. Approximately 120 of the region’s best junior freeriders will test their skills on Mount Disney during the finals of the Sugar Bowl portion of the competition. The big-mountain competition challenges skiers and riders under the age of 18 in five judged categories, including line, control, technique, fluidity and overall impression. The event is sanctioned by the International Freeskiers and Snowboarders Association (IFSA) and awards competitors with points that count toward their national ranking. 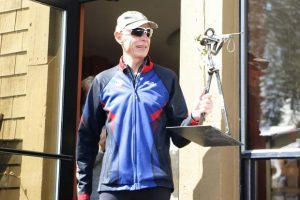 Top-ranked competitors qualify for the North American Championships in April at Snowbird Resort in Utah. 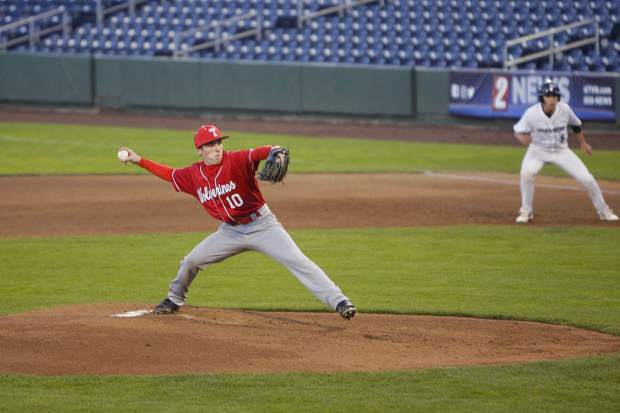 Competition will begin at 10 a.m. both days. Spectators can watch the competition venue from a number of locations around Sugar Bowl, including the deck at the historic Sugar Bowl Resort lodge and hotel. 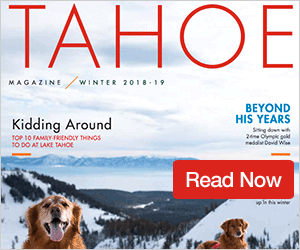 For more information on the series, visit http://www.tahoejuniorfreerideseries.com.